Marleen started running in 2010 and came into contact with a number of regional triathletes with whom she went swimming and cycling two years later during an injury period. She liked this variety in training and participation in her first (sprint) triathlon in 2012 was rewarded with a first place. That tasted like more and in recent years she developed further under the guidance of trainer Addy Ruiter . From 2016 she joined the Dutch top with a win in various Dutch competitions and top 10 international results. 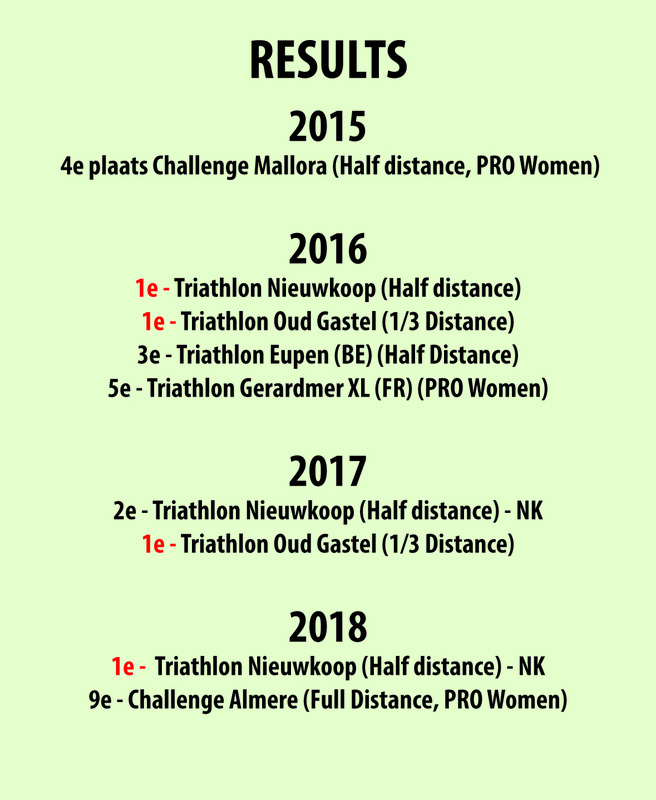 After a second place at the Dutch Championship half triathlon in 2017, Marleen became Dutch Champion Half Triathlon at the Triathlon in Nieuwkoop in 2018 and debuted at the entire triathlon in Almere (Challenge Almere-Amsterdam) in a time of 9.51h. In addition to the training courses Marleen works as a social worker in a GGZ meddling care team in Rotterdam.